Psychiatric disorders are more common in the mothers of children with autism spectrum disorder (ASD) or intellectual disability (ID) after the birth of their child. We aimed to assess the relationship between women’s psychiatric contacts and subsequent offspring with ASD/ID. We linked three Western Australian registers to investigate pre-existing maternal outpatient psychiatric contacts and the odds of ASD/ID in a subsequent child. 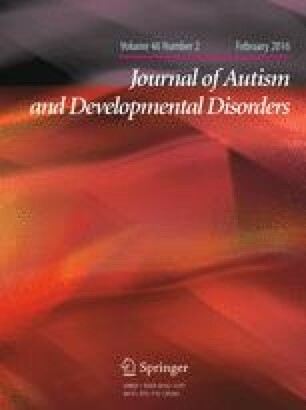 Women with a previous outpatient psychiatric contact were more than twice as likely to have a child with ASD [OR 2.07 (95 % CI 1.7, 2.6)] or ID [OR 2.31 (2.1, 2.6)]. Further research exploring the effect on pregnancy outcomes of medications prescribed to women with psychiatric disorders is implicated. The online version of this article (doi: 10.1007/s10803-015-2594-3) contains supplementary material, which is available to authorized users. The authors are grateful to the Disability Services Commission, the Telethon Kids Institute, the Western Australia Department of Education, the Catholic Education Office and the Association of Independent Schools of Western Australia for assistance with data collection for the IDEA database. This study was supported by Australian National Health and Medical Research Council (NHMRC) Program Grant #572742. All authors participated in the conception and planning of the study, Dr Fairthorne, Dr Hammond and Professor de Klerk provided statistical input to the methods and Dr Fairthorne performed all statistical calculations.Dr Fairthorne wrote the initial draft and all co-authors provided input on subsequent versions. Australian Bureau of Statistics. (2008). Information paper: An introduction to socio-economic indexes for areas (SEIFA). http://www.abs.gov.au/ausstats/abs@.nsf/mf/2039.0. Department of Health of Western Australia, G. o. W. A. (2015). Disability services. Retrieved May 14, 2015, from http://www.health.wa.gov.au/services/category.cfm?Topic_ID=12. Department of Health WA. (2011). What we collect and manage. Retrieved May 12, 2011, from http://www.health.wa.gov.au/healthdata/statewide/index.cfm.